Thanks to Popkiller and Rafal Poros for the interview opportunity. I have translated the interview in English for you all. A few weeks ago Rafal posted my discography on Popkiller. He hit me up a few weeks later with some beats and interview questions and I was happy to respond. Introduce yourself to the Polish listeners. 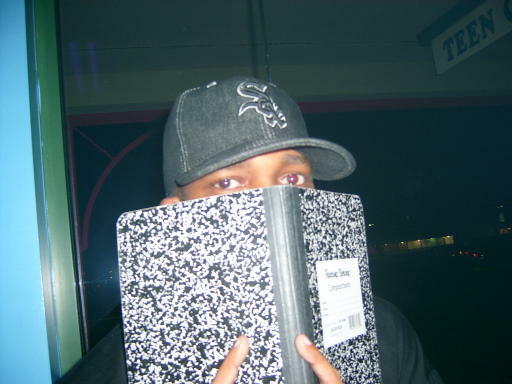 My name is Praverb the Wyse and I am an emcee/poet that resides in Virginia. I also dabble with marketing, photography, web design and more. I have an appreciation for hip-hop and hip-hop has brought me from the depths of depression to my present state. I am a funny guy who loves to laugh at myself and at life (no need to be so serious). What's the meaning of your alias? Nice question, Praverb the Wyse is actually a spin on the Biblical Book of Proverbs. Instead of calling myself Proverbs, I decided to use Praverb the Wyse because I am on a quest for wisdom that is constant. Name your 5 favorite rap albums. Wow, it would be difficult to name my top fives albums because I would leave something out haha. So I will drop the top five albums that influenced me the most. GZA's Beneath the Surface, GZA's Liquid Swords, Nas's Illmatic, Elzhi's Out Of Focus and Big L's Lifestylez ov da Poor & Dangerous are albums that influenced me the most. The albums that I mentioned all present excellent lyricism and creativity. GZA is one of my favorite emcees because his wordplay is legendary. Nas and Elzhi are just lyrical animals that rip the microphone to pieces most of the time. Big L influenced me with his witty lines and ferocious flow. Instrumental albums or 80's Rock songs. I love instrumental albums because they allow me to expand my thought process and rhyme in my head. 80's Rock songs are hilarious, they make me laugh because some of them are so cheesy. I also like to listen to classical music and R & B. Music for me is therapy. Music has the ability to appeal to our emotions. Songs truly have the power to influence mood and behavior. When I am feeling down, I will listen to positive, uplifting music. When I want to feel pumped, I might listen to something harder. Music is also powerful because it facilitates communication and story telling aspects. What's your favorite verse/line you've ever written? Wow I have wrote a lot of lines in my life, so this question is hard to answer. I think my most personal song is "Time Is Ticking" from Center of Attention. The first verse is very personal and it talks about life as a foster child, finding Christ and progressing towards my dreams. Are there any rappers you would like to work with? I would love to work with a plethora of rappers. Rappers that I can work with right away includes Blame One, Nametag, Muneshine, Theo 3 and more. My wish list would include Skyzoo, Elzhi, Evidence, Phonte, Common, J. Cole, Rapper Big Pooh, Sean Price, Braille, Theory Hazit and more. Nowadays I would rather work with dope beatmakers than emcees. What do you think of selling music via .mp3 format (iTunes, Bandcamp, etc.)? I believe that selling music across digital markets is actually a good thing considering the consumers' buying habits. I am a fan of physical product yet I understand that the industry will continue to make the shift to digital product to a point where physical product will be obsolete. I have a lot of plans this year that revolve around releasing more music and recording my first music video, God willing of course. I will definitely keep you guys abreast to what I am doing. You can always follow my Facebook page to stay updated on upcoming projects, collaborations and more. Do you know any Polish mc's or groups? You know I have heard about The Returners and O.S.T.R. due to their collaborations with American talent. I was exposed to a Polish beatmaker by the name of Notafake last year when he remixed one of my songs (waddup Notafake). I would love to work with more beatmakers and emcees from Poland. I really love what Asfalt Records is doing and I would love to collaborate with O.S.T.R. or Medium in the future. If you guys can make this happen let me know. Say something to the Polish fans. First and foremost I want to thank you for taking the time to interview me and giving me a chance to collaborate with Polish talent. I am honored that you decided to post the discography. The ultimate goal is to work with more international artists and tour Europe. I know that this can not happen unless I have demand in those areas. Continue to spread the word, hit up your promoters and I will make sure that the music is up to par.